A Nigerian man has claimed prayer with T.B. 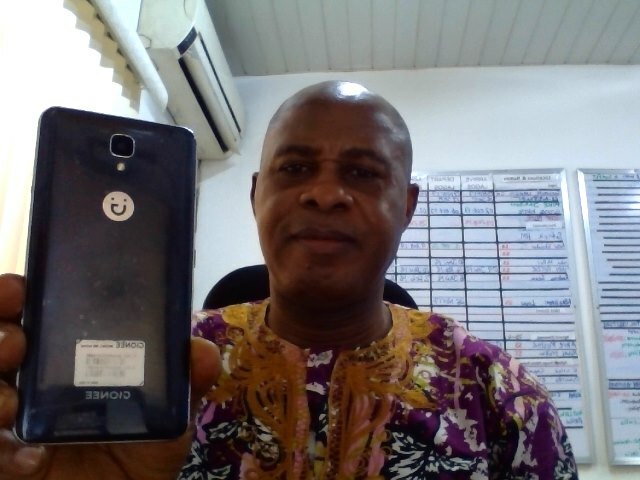 Joshua caused a thief to return his stolen phone in Port Harcourt, Nigeria. In a shocking turn of events, the repentant thief called him on his other number four days later, stating that his heart had been disturbed ever since the theft. Odiong said he provided transport money to the young man, adding that the incident significantly strengthened his faith in God’s power and protection. The testimony was one of many shared on Joshua’s Facebook page.. There is no impossibility before God. I had a dream two nights ago where occultists(men) where coming to kill me.They were up to 7 and while they were coming i said "God of Tb Joshua make these men blind, they were still coming...I said God of David Ibiyieome,they were still pursuing me and when I finally mentioned God of Oyedepo,they all fell down with blindness and I woke up. I got so confused cos I worship in Salvation ministry, I watch SCOAN but don't fancy Winners chapel.Does it mean na Winners be where God dey??? Anon@10:10 next time just say JESUS! Or BLOOD OF JESUS!!! BUT I don't believe this ya 'Tory' sha oooh. Eka Joy onu woodpecker... i neva begged you to say something. Anon 12:02,y should someone lie with this,this post made me remind it. Poster, don't wait for a second occurrence before you will realise. Your answer is right before you. We're u sweating when u woke up? Next time try God of Father Abraham, Isaac and Jacob.